2014 Kawasaki KFX 50. Picture credits - Kawasaki. Submit more pictures. When young riders age 6 years and older are looking to start riding ATVs with the rest of the family, they need look no further than the 2014 KFX�50. 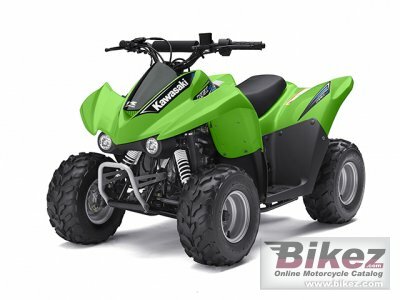 With an environmentally friendly, air-cooled, four-stroke engine balanced on a wide 27.6-inch stance, Kawasaki�s introductory ATV helps young learners build a solid foundation for years of safe riding. Ask questions Join the 14 Kawasaki KFX 50 discussion group or the general Kawasaki discussion group.